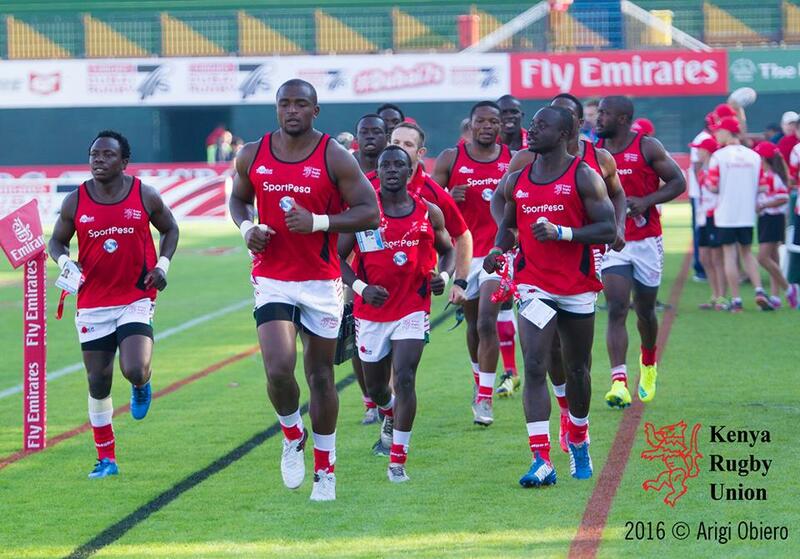 Kenya Sevens contracted players on Thurday evening released a statement giving their side of the stories on what happened before, during and after Paris 7s. 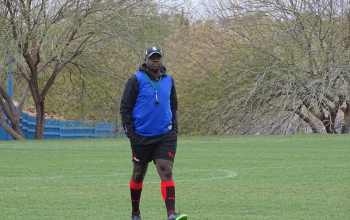 The statement came moments after Kenya Rugby Union sacked Kenya 7s head coach Innocent Simiyu after he took responsibility of what happened in Paris. "In this statement, we will give our side of the story and answer some of the unanswered questions. We just want to add that we are doing this for the love and respect we have for this game." "We would also like to state that we have followed the right protocols to see that the concerns were addressed, and we were left with no other option but to blank out the logo," state the players. The statement is from 19 contracted players for 2017/18 season - Oscar Ayodi(captain), Oscar Ouma, Andrew Amonde, Collins Injera, William Ambaka, Billy Odhiambo, Dan Sikuta, Dennis Ombachi, Eden Agero, Samuel Oliech, Augustine Lugonzo, Jeff Oluoch, Nelson Oyoo, Brian Tanga, Arthur Owira, Herman Humwa, Ian Minjire, Eric Ombasa and Samuel Mureithi. 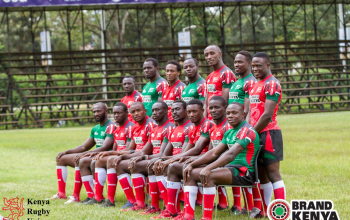 - The national team players (Shujaa) met with Brand Kenya CEO together with the KRU CEO on the 24th May 2018 after Brand Kenya had announced that they are coming in to sponsor Shujaa as their brand ambassadors to a tune of 20 Million Kenya shillings for a period of 8 months. 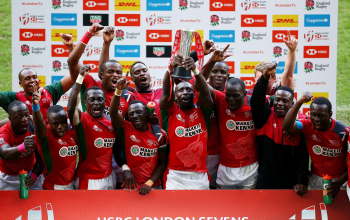 - To add on this the Brand Kenya CEO stated that they were giving each player a token of 100,000 Kenya Shillings in form of cheques in appreciation of the good work done this season. - The KRU CEO interrupted and asked brand Kenya that its easy if they send the Money to KRU first then they shall send to the players accounts directly as they have our account numbers. - As players we didn’t see anything wrong with this as we were told the Money will be in our accounts before we travel for the London and Paris legs. We agreed to this as we had already been told by our team manager that our May salaries are going to be delayed and paid on the 7th of May, so we knew the 100,000 Kenya Shillings is going to sort out a few bills as we wait for the salaries to be paid. - We travelled to London before the money had hit our accounts, reaching London the Team Manager informed us that the money will be in by Thursday 31st May, we waited for Thursday and nothing had reflected in our accounts, on asking the team manager he said that he has been told there was a delay and the money will reflect the next day, thus Friday. - On Friday nothing had still reflected in the accounts and we were told by the team manager that they have deposited the money that same Friday so we should expect our money the coming Monday after the tournament. We decided o play the tournament with no hiccups trusting that the money issue shall be solved. - On Monday 4 th May, we travelled to Paris and still nothing had reflected in our accounts, on asking the team manager the reason money hasn’t hit our accounts, he said that he shall have a solid answer by Thursday 7th June, the time which we are supposed to receive our salaries. - Thursday 7 th June we had a meeting with the team manager and still no answer from him, and this is when we as players felt shortchanged by the union and hence the decision to blank out the sponsors name came about so that the union can answer to the sponsors why we haven’t received our money, yet they have already paid. Which at first was to be given as cheques but KRU insisted that it has to go through them. -After that incident is when we hear that KRU had a bank overdraft that they didn’t know of, and that’s when we understood why the KRU CEO insisted that the money should go through KRU accounts. - We were told that we shall be paid the money when we arrive back home and up to now nothing has reflected in the accounts. "We love doing what we do and it is with so much pride that we don the national team jersey and represent our country on the International rugby playing platform. It is unfortunate that what appeared to be an internal matter has degenerated into uncalled for hostility and demonization of the players," the players added.